Do you have teeth that are cracked, chipped, misaligned, or do you even missing teeth? All of these dental concerns can leave you with a less-than-perfect smile that has a negative impact on your self-esteem. But with help from a skilled cosmetic dentist, you can get the smile you’ve always wanted. At the Sorrento Valley dental office of Dr. Vivien Chadkewicz, we offer quality cosmetic dental care to help you both look and feel your best. We are happy to help revive the smiles of patients in nearby communities as well, such as Carmel Valley, and Mira Mesa. No matter what your concerns may be, Dr. Chadkewicz helps you find the treatment that is right for what you need. Before recommending any procedure, we welcome you into our cosmetic dental office for an oral-health checkup, so we can get a clear picture of the state of your teeth. To help more precisely diagnose oral health issues, Dr. Chadkewicz uses special magnifying glasses and digital x-rays. These high-tech treatment aids help us spot even the smallest cracks, to restore your smile’s beauty and function. • All-Porcelain Crowns – If we do spot a crack or a chip in your teeth, a custom-made porcelain dental crown from our office helps your tooth look healthy again, while restoring strength and flawless appearance. • Invisalign® - This modern and comfortable orthodontic treatment straightens misaligned teeth with a series of clear plastic trays. You can skip the metal brackets and wires of traditional braces and still get a beautiful smile! • Snap-On-Smile – For those patients with multiple cosmetic dental issues, Snap-On-Smile is the easy and convenient fix. Dr. Chadkewicz takes impressions of your smile and sends these to a special lab where your Snap-On-Smile retainer is created for you. This retainer seamlessly covers teeth across either your upper or lower arch (or both), allowing your smile to look bright white and even. This modern cosmetic treatment is perfect for missing teeth and misshapen teeth. • Composite Fillings – As an amalgam (metal) free dental office, we only offer treatments that blend naturally with your existing teeth. A composite filling is tooth-colored and treats decay without the dark appearance of amalgam fillings. • Veneers – A dental veneer is a very thin piece of porcelain that is bonded to the front of a natural tooth, in order to change its color, shape, and even alignment. Veneers help permanently conceal and correct a variety of dental issues, and only require a few office visits to complete. • Fixed Bridges – If you have a missing tooth, a fixed bridge is a great way to replace your lost or extracted teeth and help restore aesthetic and bite function. • Dental Implant Restoration – As another option for replacing missing teeth, dental implants are sturdy and cosmetically appealing. However, some patients may experience normal wear and tear of the implant crown. If you are noticing that your dental implant doesn’t look as great as it used to, Dr. Chadkewicz can restore your implant by placing a new, custom-made dental crown. We focus on tooth-preserving dentistry; we’ll never suggest a treatment that requires altering your natural teeth, if it’s not necessary for your health and oral function -- we aim to help you keep as much of your natural teeth as possible. 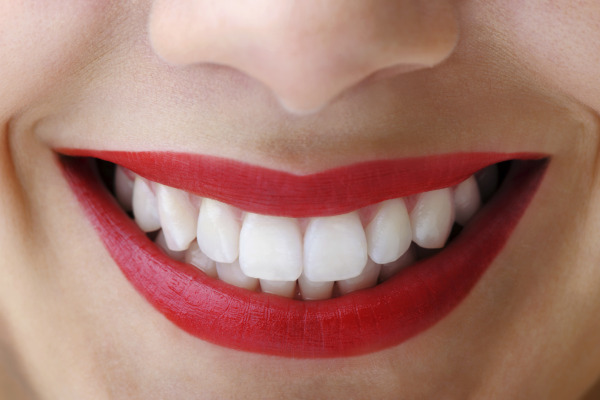 Our Sorrento Valley cosmetic dental office creates the treatment that is just right for you. We only use porcelain and ceramic, so the final result is more natural in appearance, and we also allow patients to pick the shade of porcelain that fits them best. Ready for a New Smile? Contact Us Today! We welcome you to see our Sorrento Valley cosmetic dentist for more information about how you can achieve a beautiful new smile. Dr. Chadkewicz is proud to serve neighboring areas of her San Diego community, such as Mira Mesa and Carmel Valley. To schedule your cosmetic dentistry appointment, contact us today!